According to Health Canada, strokes are the leading cause of disability in Canada, with over 50,000 new strokes occurring in Canada every year. The most common type of stroke is when blood flow to a part of the brain is cut off and brain cells in the area become damaged or die. The longer the blood flow is cut off, the higher the risk of lasting disability. This is what makes response time such a crucial element in the treatment of a stroke. 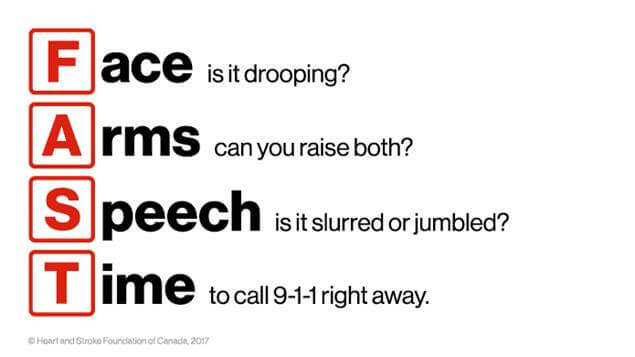 It is very important for everyone to know the signs of a stroke to help ensure the speed of treatment, which is crucial to improving the outcome of a stroke. It is estimated that 75% of all individuals who have had a stroke will have some level of impairment or disability afterwards.1 These disabilities often include speech deficits, as well as, functional and mobility problems. The mobility problems often stem from a very energy inefficient gait pattern, which is often caused by limited motion at the ankle joint on the affected side, often seen as “Drop Foot.” This limited ankle motion makes it very difficult to move forward during stance phase, causing compensation to happen at both the knee and hip. It also greatly increases the risk of falling as a result of tripping during swing phase, as the patient is unable to lift the foot to clear the ground. One tool that can help address some of these mobility problems is an Ankle Foot Orthosis (AFO). An AFO is a orthosis or brace that crosses the ankle joint and provides support to both the ankle and foot. AFO’s can greatly reduce the impact of this limited ankle motion, by providing needed assistance to muscles that are not working properly, giving the patients more confidence, safety and freedom of mobility. At Applied Biomechanics, we are the bracing experts in the area of lower extremity including stroke bracing. We have advanced training and state-of-the-art braces all made in our on-site laboratory. 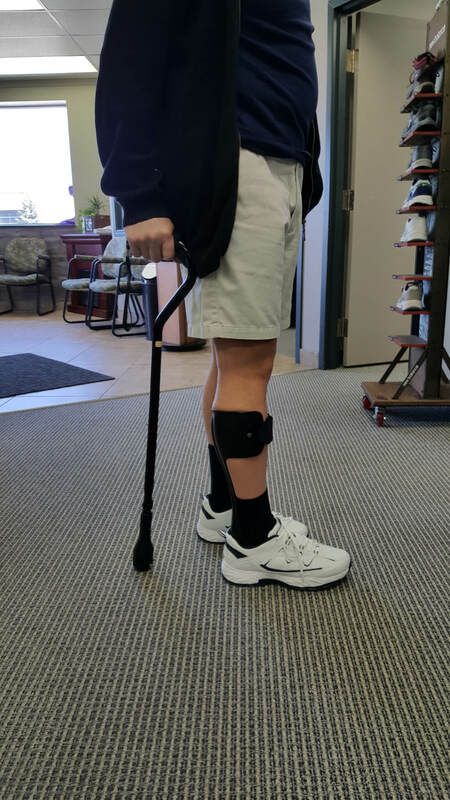 A comprehensive assessment followed by imaging for the correct design of brace can make the difference between getting around with great difficulty and regaining your independence and mobility. Applied Biomechanics is an Accredited Facility under the CBCPO / OPC (Orthotics Prosthetics Canada) to provide bracing. We are also a Registered Authorizer and Registered Vendor under the Ontario Ministry of Health and Long Term Care’s Assistive Devices Program, or ADP for short, and can help obtain funding for your brace. 3 Tyson SF, Kent RM. Orthotic devices after stroke and other non-progressive brain lesions. Applied Biomechanics was established in Guelph, Ontario in 1995 as the city’s first full-time clinic providing custom foot orthotics, custom orthopedic and neuromuscular bracing, orthopedic footwear, and compression stockings. Applied Biomechanics is an Accredited Facility by Orthotics Prosthetics Canada (OPC). We are the only OPC accredited facility in the Guelph or Wellington County. Why Do Orthotics Hurt My Feet?